You guysss!! Winter is coming! Well not really, because Autumn is just getting started but still. The weather is a-changing and that means my skin will be picking up on this and changing too. I find it really really hard to drink water as it is but in winter I end up wanting to drink even less, that along with other environmental factors my skin becomes ridiculously dry. Along with my moisturising routine, I like to treat my skin to masks that . 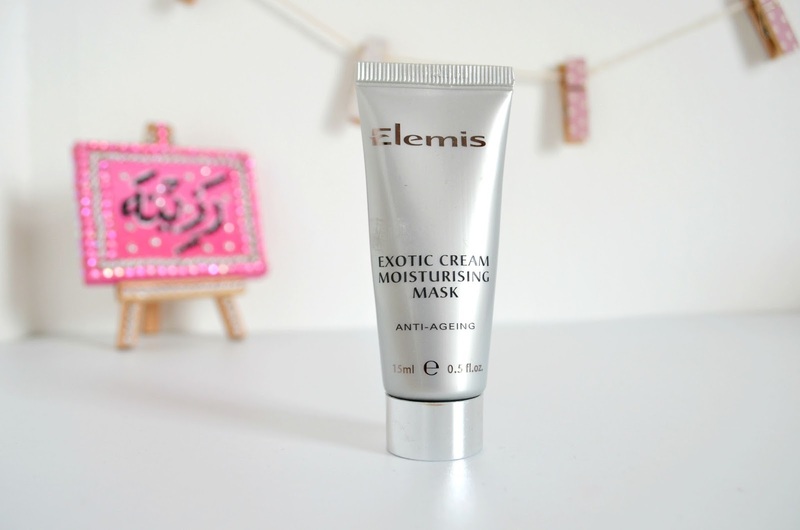 One that I keep going back to is Elemis’ Exotic Cream Moisturising mask. Elemis is a brand that I will always champion when it comes to skincare. I’ve tried a few of their products over the years and I’ve always been seriously impressed with the results. They consistently leave my sensitive skin feeling luxurious and as a bonus all their products smell divine too. Elemis have even created an ‘anti-ageing system’ which means the formulas they use focus on targeting pollution with potent anti-oxidants and vitamins to attack toxins. Perfect if you live in London! Highly concentrated actives help increase hydration and release to a deeper level, and collagen-supporting and cell plumping ingredients strengthen the outer skin. I can’t praise them enough! The Exotic Cream Moisturising mask (15ml) comes in a matte metallic squeezy tube. If you follow my blog, you’ll know I’m a huge fan of tubes you can squeeze the living daylights out of to get all the product out. The packaging is reflection on how chic the brands is. On first contact to my cleansed skin the mask felt very cooling and felt slightly tingly. It’s recommended that you leave the mask on for about 10 minutes and then wash it off. Really simple and easy to use. The exotic cream mask features mimosa and soothing honey while extracts of sea rocket, orange & bergamot which means that not only is it hydration heaven in a bottle but it smells lightly fruity. 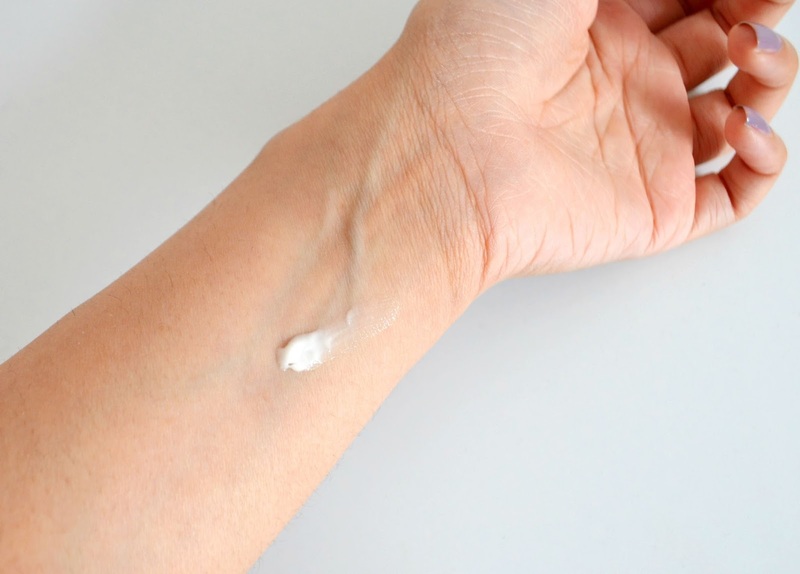 Once the mask settles on to your skin, it changes quickly from a white cream to a transparent solution. It’s really easy to spread the mask around your face and doesn’t drip either. I noticed instant results and my skin felt less tight.Whilst I was on Roaccutane and my skin was painfully dry and peeling, this mask was a honestly god send. High-end skin care is always worth the splurge as you only get one and need to look after it! Sometimes brands can be disappointing but I can guarantee with Elemis, you will always get more for your money. The Exotic cream moisturising mask is really is luxurious and leaves your skin feeling refreshed and hydrated without it feeling oily or greasy; I can’t speak highly of it enough. I’d definitely recommend giving your skin an indulgent treat from Elemis this Autumn/Winter. What’s your favourite Elemis product?